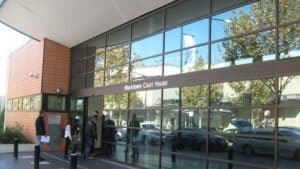 Assault Lawyers Blacktown – Blacktown Court House Representation for Assault Charges. From March 2017- March 2018 there were 727 incidents of assault in Blacktown. In the same year there were 2002 incidents of domestic assault, 1690 incidents of non-domestic assault and 120 incidents of assault on police (NSW Bureau of Crime Statistics and Research). Assault generally refers to the act of causing a person to apprehend or fear immediate and unlawful violence. There does not need to be any actual physical contact or touching for a person to be guilty of having committed assault however where there is physical contact, this may increase the seriousness of the act. Under the law in NSW, an offence is referred to as a ‘domestic violence offence’ where the perpetrator is or was a spouse or de facto partner of the victim; is in or has had an intimate relationship (sexual or otherwise) with the victim; is living or has lived in the same household or residential facility as the victim; has or has had a relationship of dependence with the victim; is or has been a relative of the victim; or is or has been part of the extended family or kin of the victim or other person according to the Indigenous kinship. The general gist of a domestic relationship is a family or close relationship to the victim and something more than just being associated with the victim. Domestic violence or domestic assault is committed by both men and women. Whilst most reported incidents of domestic violence are committed by males, approximately one third of reported incidents are committed by females. If you have been charged with assault or a domestic violence offence, it is vital to seek the assistance of an expert criminal defence lawyer who can advise you on your position and the best steps to take to ensure your rights are not infringed. When relationships break down, in particular marriages or intimate relationships, an ex partner may accuse the other of having committed certain acts such as assault or domestic violence. Accusations may be made out of jealousy or for the purpose of seeking a more favourable property settlement or simply out of anger towards the ex partner. Accusations may also be made to seek revenge and to obtain an apprehended violence order against the other party even though there has been no apprehended violence. Domestic or family violence can also be taken into account by a court in ascertaining the way in which property should be distributed in a property settlement- a person may be found to have negatively contributed to the relationship. For these reasons it is essential for an accused person to retain an expert criminal defence lawyer. Non-domestic assault includes assault, which has been carried out against a person(s) who generally is not or was not in a family or intimate relationship with the accused or living or previously lived in the same house as the accused. An example would include violence committed against a stranger or someone the accused is not familiar with. Where a person is found guilty of committing an assault against a police officer, courts take this extremely seriously. If a person is accused of assaulting a police officer, they will be charged under s 60 of the Crimes Act 1900 (NSW) which is an offence specifically created for the act of assault a police officer and carries a maximum penalty of 14 years imprisonment. Examples of conduct which may amount to an assault on a police officer include punching, spitting, yelling or kicking. It is possible for a person to be found guilty of this offence even where the police officer was not on duty. The offence will still have been committed if the assault occurred as a consequence of or in retaliation for actions the police officer took whilst in the execution of their duty or the assault occurred because the victim is a police officer. If you have been charged with assault or a domestic violence offence or assault on police, the criminal proceedings are commenced in the Local Court. All criminal matters from the least to the most serious are commenced in the Local Court. The police will issue you with a court attendance notice. There are five categories of criminal offences including summary matters, which are heard in the Local Court. Where a matter is ‘dealt with summarily’ this means the matter is also heard by a magistrate in the Local Court. If a matter is strictly indictable or an indictable matter it cannot be heard ‘summarily’ but will be dealt with in the District or Supreme Court. When a matter is listed before the court, the prosecution presents to the defendant the facts, which are a summary of the case against the defendant. The defendant must then provide whether they are going to enter a plea of guilty or not guilty. If the defendant enters a plea of guilty, the magistrate will then proceed with sentencing the defendant. If the defendant enters a plea of not guilty, the prosecution may then serve on the defendant a brief of evidence. Once the magistrate has heard the evidence, they will determine whether the offence has been proved or not and either sentence the defendant or dismiss the charge if it is found not to have been proved. If you have been charged with an offence, contact George Sten & Co Assault Lawyers Blacktown. We have decades of experience in defending all criminal matters. We are available 24 hours a day, 7 days a week and can be contacted on (02) 9261 8640 during business hours or 0412 423 569 outside of business hours. We may also be contacted via email at georgesten@criminal-lawyer.com.au.